Other names: maranta, West Indian arrowroot, Bermuda arrowroot, obedience plant, araru, ararao, hulankeeriya, Arrow-Root, Arrurruz, Dictame, Maranta, Marantaarundinacea, Herbe aux Flèches, Marante, MaranteArundinacée. Arrowroot is a highly digestive starch that is regularly used as a part of cooking all through the Caribbean. The plant, which is viewed as a herb, is local to the Caribbean and tropical climate areas. Arrowroot powder might be used as a thickening agent for gourmet dishes. Also is outstanding for its utilisation in completely clear jams and fruit glazes. Because Arrowroot powder thickens at lower temperatures than other vegetable starches, it is far less likely burn, and it will thicken even within the sight of acidic fruits, making it the thickener of decision for fruit glazes. It's an incredible substitute for cornstarch and flour as a thickening agent in sauces, puddings and pie fillings. Essentially arrowroot powder can be a more advantageous alternative option to the more normal cooking ingredients for pasta, bread and cakes. Arrowroot is gluten-free. 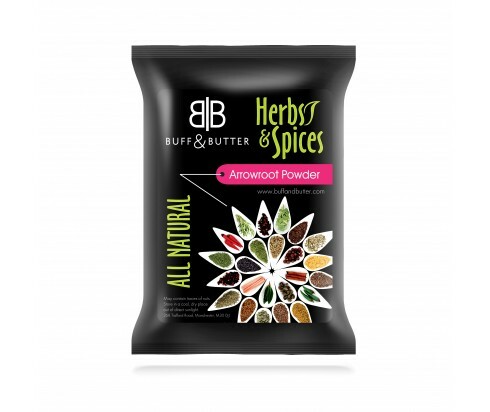 Arrowroot grounded powder bakes well in cookies, cakes and biscuits made with milk. Arrowroot powder has been used as an aidin digestion. Arrowroot consists huge levels of iron and copper. These two significant minerals are fundamental parts of red blood cells. Arrowroot grounded powder is useful for preventing anaemia, which is considered by fatigue, cognitive disorders and weakness. Boosts immune function of the body. A highpercent of vitamin B inside arrowroot makes it a critical enzymatic and metabolic substance. Using arrowroot can treat urinary tract infection. Arrowroot is used as food, feed,fuel and fibreresource. Arrowroot is used as screens between neighbouring houses. Individual leaves are used as plates on picnics. The arrowroot is underground and is cylindrical-shaped, small, covered with thin surface scales. Before separating the starch, they are washed and the scales are expelled to maintain a disagreeable flavour.